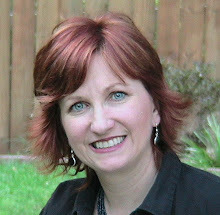 This weeks site of interest is http://yvonneperry.blogspot.com/ Writers in the Sky Podcast and Blog. It covers everything about writing, publishing, and book marketing. Interviews with authors, publishers, and book industry experts. The latest news about books, publishing methods, and marketing techniques. Yvonne Perry is a published author, successful full-time freelance writer, podcast host, and the owner of Writers in the Sky Creative Writing Services. Skilled in ghostwriting, editing, and formatting for books, articles, bios, resumes, and newsletters, she is available for contract assignments. Proficient in Microsoft applications and having a wide variety of writing experience that includes educational and self-help books, Web text, impressive resumes, personal and professional biographical sketches, high-quality press releases, and articles, Yvonne is ready to work with you on your next project. As a networker, Perry loves to share her knowledge and connect authors, writers, publishers, and readers through her monthly newsletter and weekly podcast. More Than Meets the Eye True Stories about Death, Dying and Afterlife. Right to Recover: Winning the Political and Religious Wars over Stem Cell Research in America. Book Marketing in the Digital Age, Online Promotion Made Easy - a great tool for authors needing help with book promotion.